I have an unabashed love affair with children’s books. One of my favorite genres, I adore rich illustrations, flowing language, and whimsy. Words evoke emotions, and stir the imagination. I love when authors paint masterful imagery amid simplicity. A story well told is a fresh spring breeze. Several nights ago I awoke to a peculiar though instantly recognizable sound. I listened in the stupor of the half-asleep, not sure I hadn’t merely dreamt it. There it was again, and I smiled at the unmistakable call of an owl. No joke. Despite my residential neighborhood, an owl must have been right outside my window! I’m not sure I’ve ever heard an owl in the wild before. One of my favorite picture books sprang to mind. Owl Moon by Jane Yolen is the story of a little girl who goes “owling” with her Father. She’s waited her whole life for the privilege, and the night spreads before her quiet and mysterious. And so we’re whisked along through eyes filled with wonder. How vividly I imagine a little girl clomping through the snow, trusting her strong father to lead the way. Perhaps she is a little nervous, a bit afraid of things that hide in the night. What a gentle reminder of a bigger Father! As with any great story, Owl Moon points to the biggest story. Why do we love heroes? And redemption? And family? And good versus evil? We long for the ultimate Hero. We long for the ultimate Father. The little girl was not afraid because he was brave. She trusted her father. He was enough to face the “kinds of things that hide behind black trees.” He protected. And she was safe to enjoy the beauty of the night rather than fear the unknown. How clearly the gospel rings from the pages of a simple children’s story! I have a Redeemer who protects, provides, and is infinitely brave. I’ve been adopted, and I have a Father who loves me and makes me dwell in safety. But I don’t always trust my Father perfectly. Sometimes I fear the things that hide behind black trees. I forget to enjoy His presence. I forget to marvel at the adventure. But He remains the same. Strong. Trustworthy. Brave. Jesus trusted, therefore I can trust. Jesus was brave, therefore I am brave. The owl continued his song in the night, and I drifted back to sleep–safe, warm, and protected. 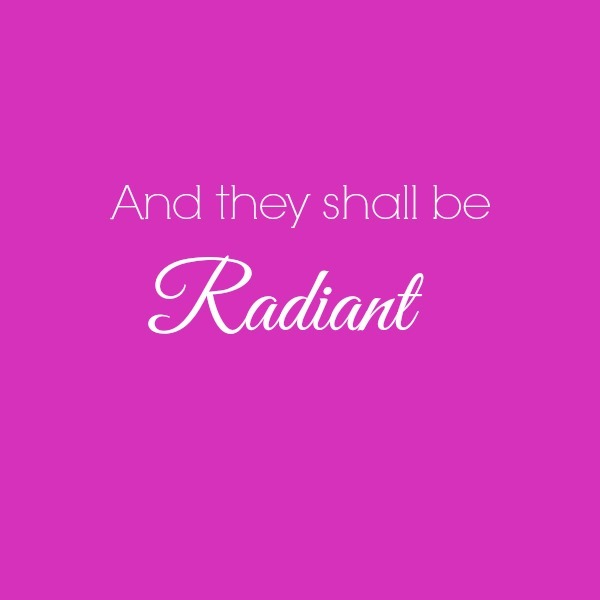 And they shall be radiant. My 30th birthday was epic. Yep, I know it’s a totally overused, dumbed down by pop culture kind of word, but I distinctly remember Jon’s enthusiasm. I think he embraced the words “go big or go home” long before they ever became a catch phrase. Your full cooperation is needed both today and tomorrow as we celebrate the epic milestone of crossing over into a new ‘decade.’ Your assistance is required. Please DO NOT leave school when you get out at 11:30. There will be a driver arriving to pick you up and transport you to the next stop on the birthday weekend. Your vehicle will be picked up at a later date. And so it began. He had planned an entire weekend of surprises. New boots. Earrings. 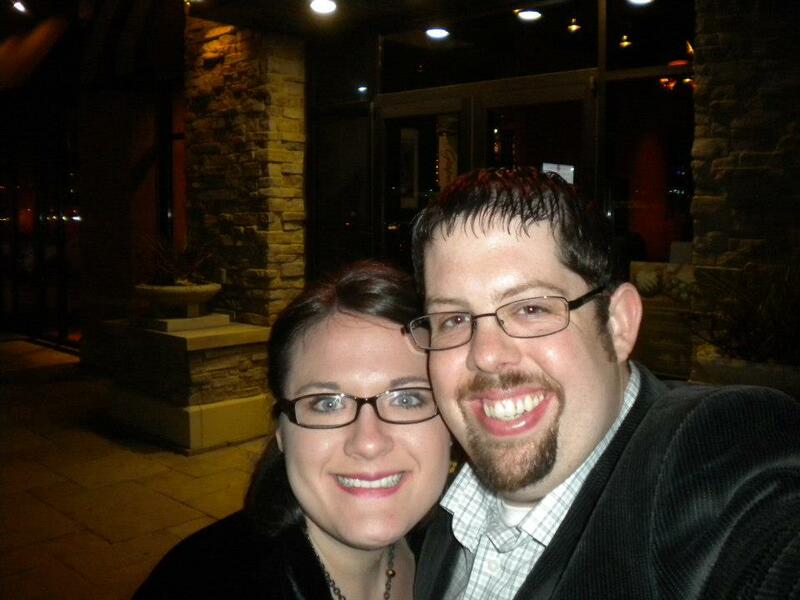 An afternoon seeing “Wreck it Ralph.” Dinner at The Melting Pot. And the next day, we took a trip to Galena, one of my all-time favorite, quaint towns. He also planned a surprise dinner with friends on another night. The birthday fun never seemed to end. Reminiscing about my favorite birthday mingles with a word that tumbles around my mind like clothes in the dryer. And they shall be radiant over the goodness of the LORD, over the grain, the wine, and the oil, and over the young of the flock and the herd; their life shall be like a watered garden and they shall languish no more. Then shall the young women rejoice in the dance, and the young men and old shall be merry. I will turn their mourning into joy; I will comfort them, and give them gladness for sorrow…and my people shall be satisfied with my goodness declares the LORD.” Jeremiah 31:12-14. Life felt radiant on my 30th birthday. Glowing smiles and twinkling eyes fill every picture. I was cherished, immensely loved, and I was excited. But there came a day when I wondered if I would ever be radiant again. I tumble the word over and over. Beautiful, flourishing, stunning, dazzling, and brilliant: connotations vividly spring to mind. How marvelous that others notice! My friend’s recent words penetrate my heart with joy. The tumbling word greets me like a warm blanket. Radiant. A healed heart, gladness, joy and dancing: I am well. True radiance results from beholding Christ. Because Jesus is light unimaginable, the gospel spoken and believed has the power to make my life shine. The grain. He is the Bread of Life. The wine. He is the Vine. The oil. He is the Oil of Gladness. The flock. He is the Great Shepherd. A watered garden. He is the Living Water. The more I see Jesus, the more I am transformed. 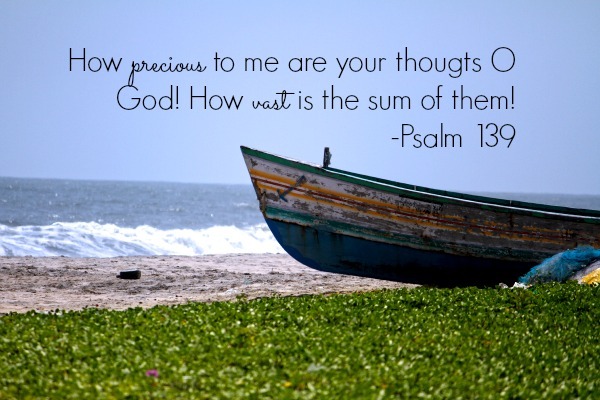 O Lord, that my life would be a stunning reflection of you! 33 today. It may not be an epic day, but better than epic birthdays is to be satisfied with the goodness of the Lord. My heart is glad. I don’t know if my life radiates Christ. Certainly there are times when it doesn’t! I struggle and sin just like everyone else. But I want it to. Lord this is my prayer. Make me more like you. Transform me. May your reflection shine more and more accurately from my life.